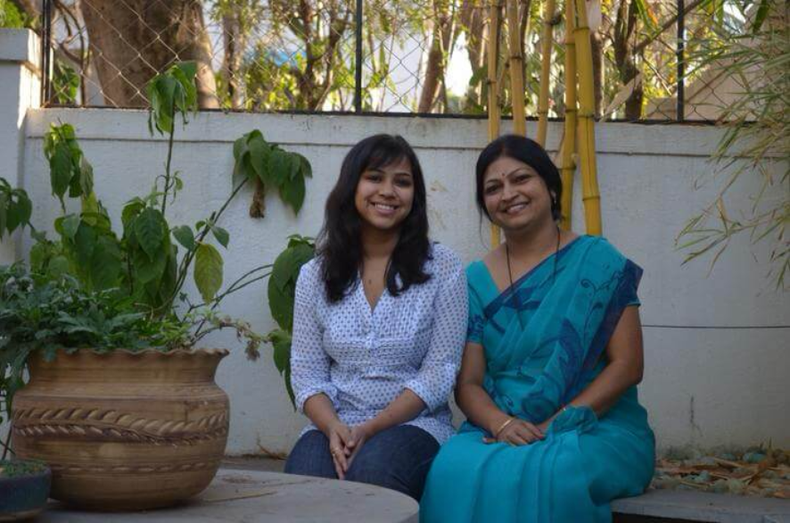 I became friends with Swati (one of the Founders of Rustic Art) through work. Almost 2 years into work and friendship, I found out that she is the Co-Founder of Rustic Art with her aunt, Sunita Jaju. That’s how humble Swati is, if not for a friend, I wouldn’t have known at all! My joy knew no bounds when I found out that Rustic Art sells organic laundry powder because I had been suffering from eczema. Cuts, bruises and blood were a regular scene - just because of the harsh soaps that sat on my shelves, being used in our daily lives. Switching to organic was due and now, a necessity. That’s when I realised how the smallest of choices we make can affect the world in turn. Through being in constant touch with Sunita Aunty and Swati for a few months, asking them questions related to the products, I was able to sort out my personal care products so that it wouldn’t harm the earth. This is simply an inspiring story of these two entrepreneurs, who are trying to make the world a better place, one product at a time. The inspiration behind this business was the fact that we used natural substitutes for soap and laundry at our home. It extended to friends, social circle and the community. So, it seemed like a natural progression to give it an organized structure. All our products are made with natural or organic ingredients. So, they are rustic in nature. Since they are all handmade, it’s almost like an art. And, that’s really the simple story behind our name. How Did Rustic Art Happen? We were never easily able to find high-quality organic personal care products in the market. So, we usually made our own at home. However, that’s not possible for everyone who might be interested in organic products. So, we realised there was a need that we could fill. That’s how we started out initially with a line of organic soaps. There always existed a community of people that used organic products. Even today, those who understand organic products know that Rustic Art is one of the most authentic brands in that space. So, there was always a need for these products – in India and elsewhere too. We faced every challenge that a ‘man’ entrepreneur would have faced, especially if he were starting a business for the first time, like us. The journey has not been different for us because of our gender. Most of our challenges were about working in a commercial space with a product line that is handmade. Scalability, maximizing our reach and working with a minimal marketing budget are our key challenges. We are in the process of setting up a large unit where we will be able to produce more. It has taken us many years to be able to do that but it’s happening now! From people asking us if we sell ‘fairness products’ to suppliers trying to sell chemical ingredients to us, to big brands asking for our products in bulk to sell under their name, to people mistakenly using our (biodegradable) laundry soap as a bathing soap and liking the effect on their skin – this journey has been full anecdotes. We have women taking care of various functions in our business, directly and indirectly. We have been fortunate to work with people who share the same eco-sensibility as us. We have had the opportunity to interact with many people who have been passionate about the environment and want to promote an eco-lifestyle. Some have their own businesses in this space and others are choosing eco-friendly options over the rest. All of these people understand the motive behind what we are doing and in this industry, we all support each other. My experience tells me that passion and motivation are usually gender-neutral. Rustic Art is a family run business. Swati and I started it but so many members of our family have been involved right from the start. They bring in their ideas, experiences and skills. In fact, they test all our new products and provide feedback. I don’t think I can imagine Rustic Art without their contribution, today or in the future. Success and failure is a function of many elements, some within your control and some out of your control. However, if you can find meaning in what you do, that’s all that matters. It’s important to work hard and go to bed feeling satisfied that you did something that you are proud of. You can buy Rustic Art products online here, including their reusable menstrual cups. Are you trying to switch to a sustainable lifestyle too? Share your story with us in the comments below. Hello Sunita and sanjukta, great endeavors, many congratulations for coming up with something so earthy in this plastcy world.Do you offer franchise of your brand? If yes then how can I avail it?